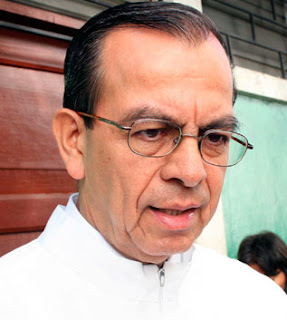 Pope Francis has named the first cardinal of the Roman Catholic church from El Salvador. Seventy-four year old Gregorio Rosa Chávez is the auxiliary bishop of San Salvador and will now wear the red hat of the princes of the church. 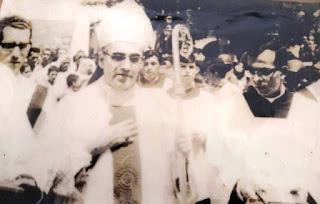 Rosa Chávez was named auxilliary bishop of San Salvador in 1982, a post he has held for the past thirty-five years under a series of archbishops in San Salvador. On choosing Rosa Chávez from El Salvador, the pope bypassed the titular archbishop of the diocese, José Luis Escobar y Alas, once again making the point that when he gives red hats, he’s more than willing to go beyond the traditional “cardinal sees,” something he’s done in the previous three consistories he’s celebrated. This pick in particular says a lot about Francis, because Rosa Chávez was a close collaborator of slain Archbishop Oscar Romero, who was murdered in 1980 while he was saying Mass. In an interview, afer receiving news of his appointment, Rosa Chávez stated "I dedicate my appointment to Blessed Romero. I believe he was to be called to this, but he will have received it in heaven through his martyrdom." In covering El Salvador over many years, Rosa Chávez always appeared to me to be the bishop most aligned with the poor and with the social movements in the country. His walk as a bishop in the Roman Catholic church in El Salvador has always been in the spirit of Oscar Romero. His appointment as a cardinal once again illustrates Pope Francis' focus on a church committed to social justice for the poor, the migrant, and the oppressed.